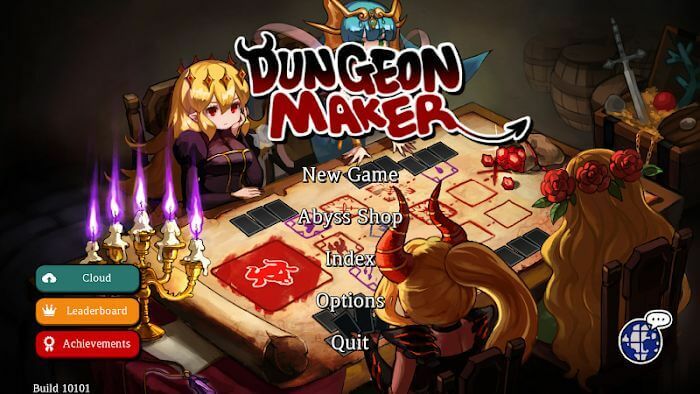 Dungeon Maker – When it comes to the forces of darkness, the first thing people think of is probably the images of evil in the dark, ugly shapes and always harming humanity. Therefore, those in the dark are always bad and deserve to be destroyed. However, in the Dungeon Maker game, it is not like that. The forces of darkness still exist in the parallel world but do not harm people. On the contrary, man is the cause of great misunderstandings between the two worlds. Briefly, the plot of this game is somewhat unusual and unique. So now, we will go into a deeper understanding of the content of this game. The story of Dungeon Maker tells the adventure of human invasion to the world of darkness. When the dark lord decided to close down, to rule his kingdom in peace then those who identified themselves as knights, representing righteousness came from the human world and declared it destroy the whole place. Since then, the creatures here do not have a peaceful day. In the face of that danger, the darkness lord summoned all of his forces to protect the creatures of his kingdom and began the journey to repel those stupid humans, returning the peace of capital. Yes of this place. A mob of heroes is about to invade your territory! 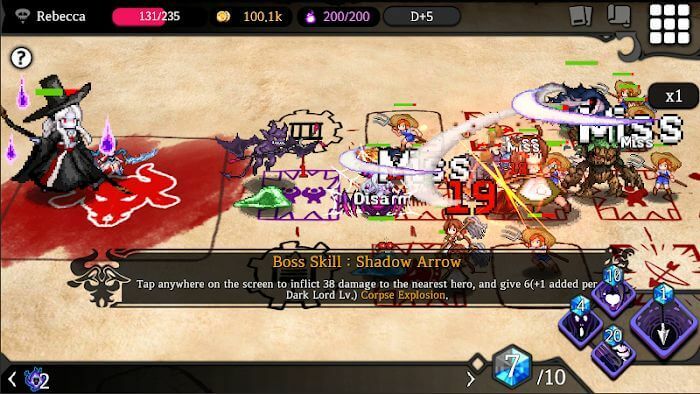 Dungeon Maker is a turn-based strategy game. In this game, you will play the role of the dark lord, taking on the task of summoning soldiers, and fighting human attacks. 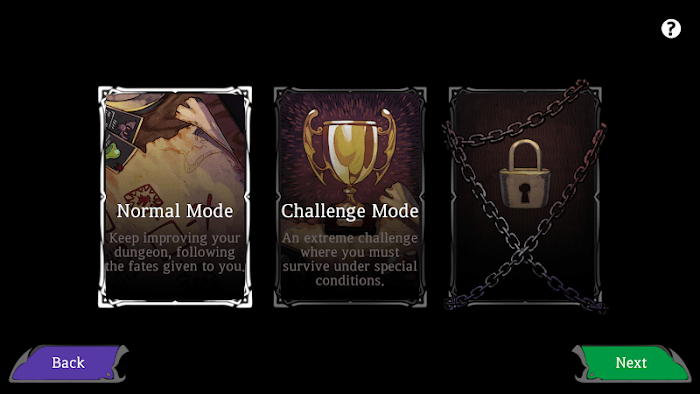 Initially, when starting the game, you will choose the main character, the dark lord. There are 5 characters, each with different fighting skills and powerful abilities and you can choose anyone. After that, you will begin your game screen with some of the generals that the game offers. The play mechanism is quite simple, including a boss (your main character) placed on the left side of the screen, followed by 12 squares, arranged into 3 vertical rows, forming 3 paths. Enemies will enter and attack your boss in these 3 ways, then place your generals on the path, to prevent enemy attacks, and protect the Boss. Your boss has only a certain amount of HP, and his life will decrease when he is attacked by an enemy. So please treat the generals in positions suitable to protect the boss. If your boss runs out of energy, the game will end, and you need to start a new game. However, the difficulty of the game is also gradually raised. Enemies will become stronger, more crowded and wiser. Meanwhile, find ways to power generals and find powerful monsters. 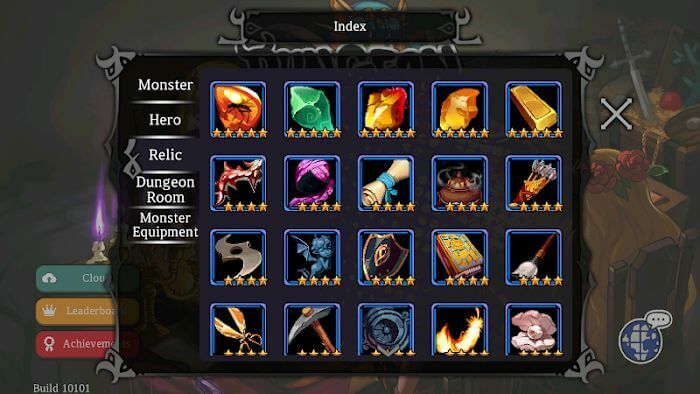 The system offers a lot of unique monsters, and you can have more monsters when you win or complete quests.